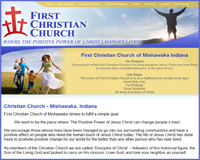 Christian Church - Mishawaka, Indiana - First Christian Church of Mishawaka the place where ‘The Positive Power of Jesus Christ can change people’s lives." Everyone is welcome to come to First Christian Church for Christian Worship in Mishawaka, Indiana. Come and explore our vision to be a lighthouse for people of all ages where they may Find Refuge, Grow Spiritually and Be living examples of Christ. Church Programs - First Christian Church in Mishawaka offers ministry for the young and old. 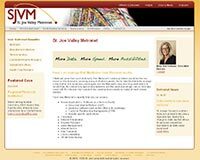 Through our church programs we bring God’s historic yet present message to humanity in an effort to bring people to Jesus Christ and help them to become fully committed followers, to the glory of God. Our Christian Activities in Mishawaka, Indiana are spiritually inspiring. If you are looking for a place to find faith, hope and love while striving to live a better life – come home, to First Christian Church in Mishawaka. 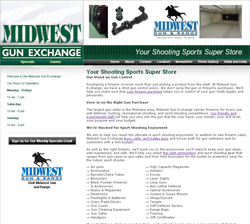 Custom Marine Carpet provides marine carpet & boat mats to boat owners around the world. They will help you replace your worn out boat carpet or add a custom snap in carpet to un-carpeted areas. You can even have your boat mat personalized with your name. 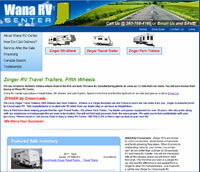 Wana RV Center carries Zinger Travel Trailers, Zinger Fifth Wheels and Zinger Park Trailers. If there is a Zinger floorplan we don't have in stock we can order it for you. Zinger RV Travel Trailers are known for solid construction, dependable components and family pleasing floor plans. Crossroads RV is the Zinger manufacturer and they are located only 10 miles from Wana RV Center. Because of our location there is no freight fees when you buy at Wana RV Center. We not only have a great location, we also have over 30 years of experience helping people find the right Travel Trailer, 5th wheel, Park Trailer, Toy Hauler and power equipment. Stop in today and let us help you find a special deal on your next RV.